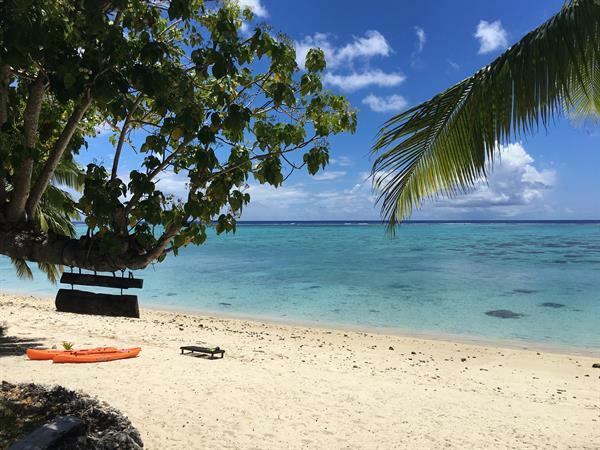 Aitutaki Beach Villas comprises four self contained bungalows with 3 different room categories on offer, a Lagoon View Villa, Beachfront Villa or an Absolute Beachfront Villa. All units exhibit villa style accommodation with spacious open plan living areas and small decks to enjoy the beautiful ocean view. Villas have bedding confirgurations of either a super king bed along with 1 or 2 singles. Each have separate bathrooms, small fully equipped kitchenettes, and fans for your added comfort. Ideal for couples and small families or those wanting to escape from the commercial resorts, it guarantees guests privacy and seclusion and an unforgettable beachfront view. Rate includes welcome fruit basket on arrival. 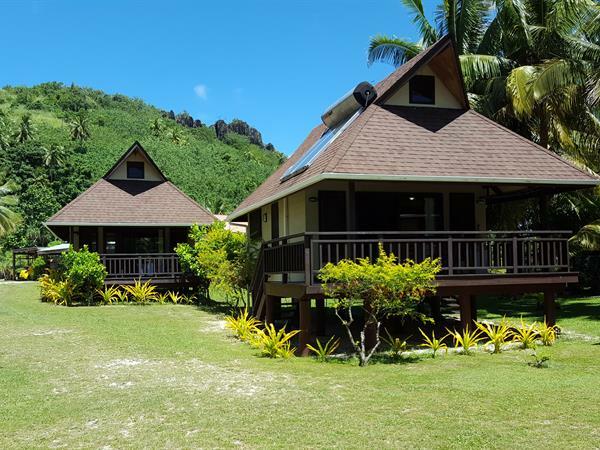 The Lagoon View Villa features a studio style layout, and has an upstairs room, a bedding configuration of 1x Super King + 2x Singles, kitchen, bathroom with toilet and shower, and a private deck with outdoor furniture for relaxing on and taking in the lagoon views. The Beachfront Villa features a studio style layout, and has an upstairs room, bedding configuration of 1x Super King + 2x Singles, kitchen, bathroom with toilet and shower, and a private deck with outdoor furniture for relaxing on and taking in the views. The Absolute Beachfront Villa features a studio style layout, and has an upstairs room, 2x bedding configurations which can either be 1x Super King + 1x Single or 1x Super King + 2x Singles, kitchen, bathroom with toilet and shower, and a private deck with outdoor furniture for relaxing on and taking in the views.